Obviously the most recent developments at the Chess Club and Scholastic Center and the World Chess Hall of Fame have firmly planted St. Louis as a major player in the chess world, but countless organizers and enthusiasts have helped maintain the interest in St. Louis over the years. The 1904 World’s Fair featured some of the country’s best players at the invitation-only 7th American Chess Congress, but in conjunction with that event, the Missouri Athletic Club also played host to the U.S. Open. This marked the first time this event (second only to the U.S. Championships in terms of prestige) was held in St. Louis. The U.S. Open, originally referred to as the Western Chess Association Championship, has been held in St. Louis four times: 1904, 1929, 1941 and 1960. A St. Louisan named George H. Wolbrecht captured the Western Chess Association title in 1906. Wolbrecht studied civil engineering at Washington University. According to an article from the Pittsburgh Gazette Times dated Sept. 18, 1910, Wolbrecht didn’t start playing chess until he was 26. He worked on the Panama Canal in 1908, conducting simultaneous exhibitions and teaching many of the workers how to play chess. Wolbrecht also played in the Western in 1907 and 1909 and won the event again in 1910 at the age of 39. One of the most prominent names in St. Louis chess was Robert Steinmeyer. Born in 1927, Steinmeyer dominated the St. Louis Chess scene from the 1940s through the 1970s. Through the 1980s, the District Championship was considered the strongest tournament in St. Louis, and Steinmeyer won this event a record 10 times, with his first victory coming in 1944 and his last in 1974. Steinmeyer maintained a 2400 rating throughout the ‘60s and ‘70s and competed in the U.S. Championship from 1962-1964. Steinmeyer eventually abandoned chess for bridge in the late ‘70s. He passed away in October 1988 and is buried in Jefferson Barracks National Cemetery. Steinmeyer was inducted into the Missouri Chess Hall of Fame in 2006. John V. Ragan, born in 1931, is another member of the Missouri Chess Hall of Fame and a six-time winner of the St. Louis District Championship. Ragan has been named the Missouri State Champion a record 12 times; and although Steinmeyer was considered much stronger, Ragan was one of his toughest opponents. Ragan and Steinmeyer could be seen often enough throughout the 1950s at the Downtown YMCA Chess Club at 1528 Locust Street, which boasted more than 400 members according to an article in the April 14, 1957 St. Louis Globe-Democrat. “In the St. Louis area there are probably thousands of persons who have played chess more or less, but the only major chess organization here is the Downtown YMCA Chess Club, which has about 400 players of fair to outstanding ability on its mailing lists,” the article said. About that time, one of the most prominent clubs in St. Louis history was just getting started. The Capablanca Club was founded in 1954 by two friends: A.B. Carlisle and Fred Boeneker. The club first met at Liggett Hall at Washington University and then later at the Clayton Community Center. The Capablanca was chartered as a nonprofit in 1962 and moved to a new headquarters at 2914 Sutton Ave. in Maplewood. Chess interest was growing. In 1964 the Metropolitan Interscholastic Chess League was founded. Spearheaded by Brother Delmar Jorn of Chaminade, the league featured 20 schools but would continue to grow steadily in popularity. Leroy Jackson burst onto the scene in the 1960s and became a dominant force in St. Louis chess. He rattled off four consecutive St. Louis District Championships from 1966-69 and three straight Missouri State Championships from 1966-68. Jackson later changed his name to Leroy Muhammad and relocated to New York before eventually settling in Gary, Ind. The Chess Drum’s Dr. Daaim Shabazz has a nice piece on Jackson’s magic year of 1966. Another strong St. Louis player at the time, Elliot Winslow, would go on to become an International Master. Winslow now works at the famous Mechanics’ Institute Library and Chess Room in San Francisco. 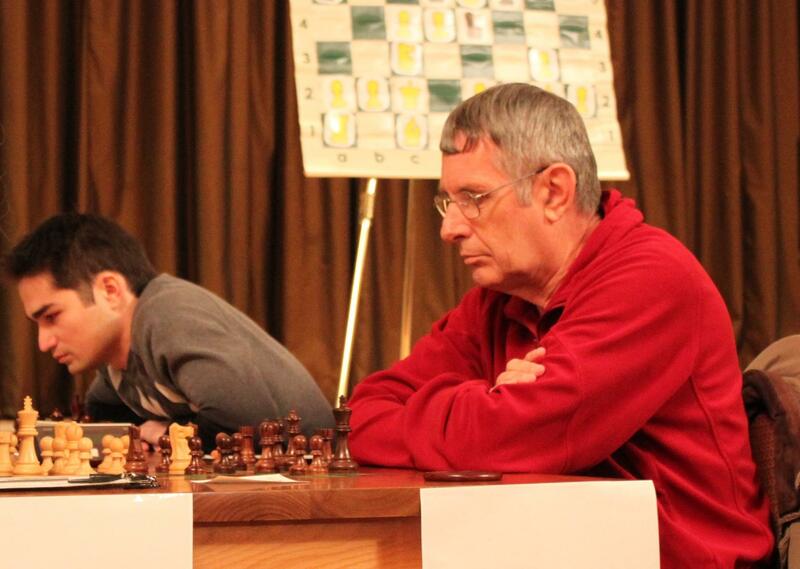 Jim Davies (right) is the first-ever inductee into the Missouri Chess Hall of Fame. The Capablanca Club eventually moved to Hampton Avenue near Chippewa, and then moved again in 1974 near Delmar and Hanley. But what goes up must come down, and the interest generated by the Fischer boom was waning. The Capablanca finally shuttered its windows in 1977. “There were a lot of tournaments, there just weren’t a lot of clubs,” Davies said. Through the late ‘70s and into the early ‘80s, George Thompson ran a store on the Delmar Loop in University City called the Bi-State Chess Conglomerate, which provided chess equipment for area enthusiasts. He, along with the Saint Louis University Chess Club, helped sponsor a few notable chess events including a simultaneous exhibition with 9th World Chess Champion Tigran Petrosian in April of 1978. Terry Niehoff, a freshman at Saint Louis University at the time, defeated Petrosian in 28 moves. The following year, Thompson helped organize another simultaneous exhibition with World Championship challenger Viktor Korchnoi. Throughout this time, the scholastic chess movement continued to grow. The Metropolitan Interscholastic Chess League (which soon became known as the Gateway Chess League) grew to include 425 students in 28 high schools including Alton and East St. Louis. The East St. Louis Flyers Chess team was a dominant force on the scholastic chess scene throughput the late ‘70s and early ‘80s. A couple of St. Louis youngsters emerged as top players on the junior circuit, and St. Louis actually had two representatives at the 1984 U.S. Junior Championship in Ojai, Calif.: Dennis Younglove and Doug Eckert. Younglove would represent the U.S. at the Pan-American Youth Championship in Lima, Peru, and Eckert would go on to earn the title of FIDE Master. Charles Lawton was the dominant name in St. Louis chess for years prior to the influx of grandmasters brought on by the collegiate chess boom. Both Lawton and Eckert competed in the 2009 U.S. Championship, which was held in St. Louis. The Crestwood Community Center became the de facto home for the area’s chess players in the late ‘80s and early ‘90s, followed by hotspots like the St. Louis Bread Company in the Delmar Loop, and the Borders and Barnes and Noble bookstores in Crestwood, which hosted weekly gatherings for chess enthusiasts. Countless players and event organizers were vital to keeping the chess scene thriving throughout that time. When Chess Club founder Rex Sinquefield retired to St. Louis in 2005, he researched the local chess scene and realized chess didn’t have a true home, and the idea for the creation of a permanent space once again was born. The Chess Club and Scholastic Center opened its doors in July 2008 and ushered in a new chapter of chess history for St. Louis. It’ll be exciting to see the story play out. Note: Mike Wilmering is a 2006 graduate of the University of Missouri at Columbia School of Journalism and serves as the communications specialist for the Chess Club and Scholastic Center of St. Louis. The World Chess Hall of Fame provided research materials for this article. The chess boom in St. Louis may appear as though it has materialized out of thin air, but the Gateway City has a vibrant chess history. Chess adds to a rich and developing cultural renaissance in St. Louis. And as we celebrate our city’s 250th birthday, I think it’s appropriate to take a look at some of the important names, events and places that have helped shaped our ever-growing chess culture. 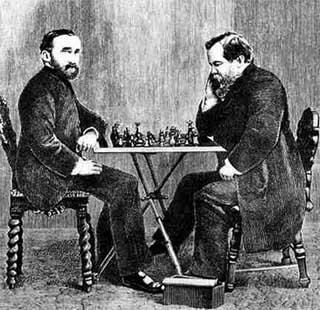 This column explores the early days of chess in St. Louis and some notable champions and championships that placed St. Louis at the center of the chess universe. 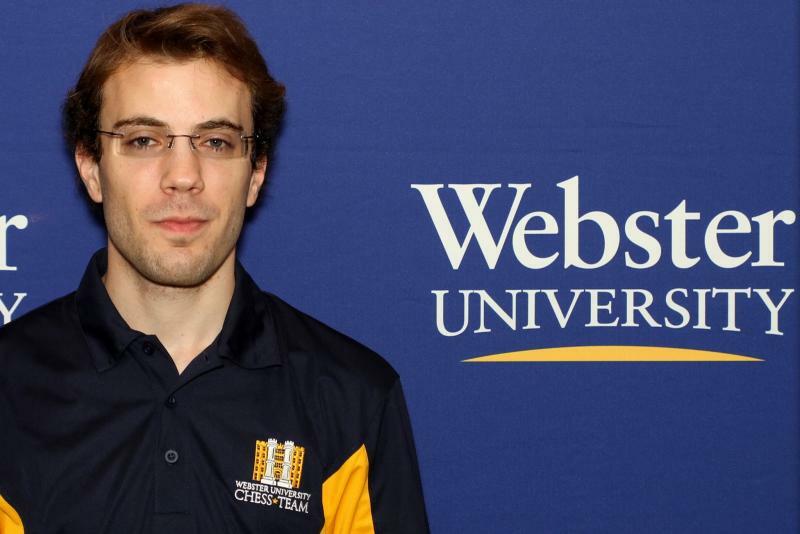 Webster University’s Georg Meier etched his name in the St. Louis record books over the weekend by winning the 6th annual Club Championship, held at the Chess Club and Scholastic Center of St. Louis (CCSCSL). Meier, 26, is a world-class grandmaster who ranks No. 2 in Germany and No. 141 in the world.